Flip a coin. 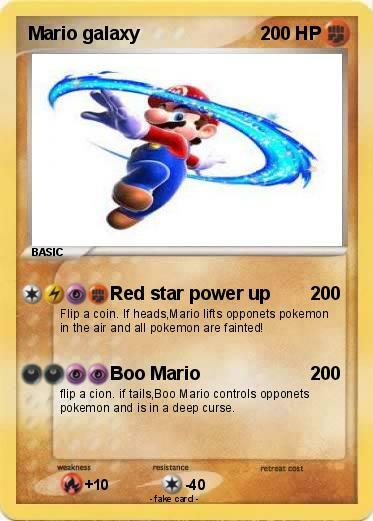 If heads,Mario lifts opponets pokemon in the air and all pokemon are fainted! flip a cion. if tails,Boo Mario controls opponets pokemon and is in a deep curse.